ClashTalk Lunch Poll: Who's/What's/Where's Underrated? Everyone knows what I’m talking about: that person/thing/place that you find yourself going back to or being mesmerized by or being pulled toward but you can’t quite explain why (mine’s Charles Bronson, pictured; more on him later). Then you read that this person has never won an Oscar nor a Grammy, nobody likes this type of chair, or this place is hardly ever visited. 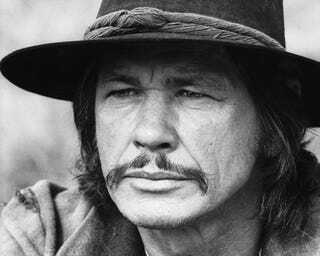 Here’s my Most Underrated “Who:” Charles Bronson. He’s celebrated as a pretty awesome badass and action actor, but I want to propose he’s underrated as an incredibly empathetic actor. I watched the original Mechanic a few days ago and it’s amazing. Bronson’s eye motion, head movements, release of shoulders at critical times all show him to be a much more interesting actor than was typically reported on. ClashTalkers: Who/What/Where’s your most underrated subject? Sound off in the comments below!